Cheer Up Monday Bonus plus free spins Omni Slots of 25% and 20 free spins. Activate your Cheer Up Monday Bonus plus free spins on Blue Monday. Blue Monday on monday January 21th, the most depressing day of the year. Online Casino Omni Slots Casino Cheer you up with a Cheer up Monday Bonus of 25%. The players of Omni Slots that activate the bonus, receive tomorrow tuesday January 22th 20 free spins. This Cheer Up Bonus is only valid on Blue Monday January 21th from 00:01 hours to midnight 23:59 hours. 1. Login to your Omni Slots casino account. 2. Make a deposit of €30 or more on Monday the 21st of January. 3. Select the “Cheer Up Monday” in step 2 to receive your 25% Bonus up to €200. The Cheer Up Monday Bonus is only vaid on the first deposit of the day. Awarded on Tuesday January 22th, all players who make a deposit of €30 or more on the 21st of January will receive 20 free spins on the slot “Under The Sea”. A welcome bonus and 50 free spins for new Omni Slots casino players. Open a free account via the banner below and you receive a welcome bonus of 100%. 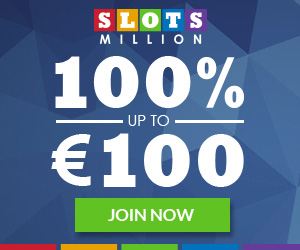 This welcome bonus is only valid on the first deposit, up to maximum €300. Send the special code 50FREE after the first deposit to customer service via live chat. You receive 50 free spins for Slot Starburst, on of the most popular Slots.